Google Play Store is a hub to the limitless apps for the Android ecosystem. Scrolling through the apps keeps you occupied for a long time craving for more and cooler apps for your Android smartphone. Due to some unfortunate circumstances, you might sometimes come across some issues or errors while installing apps from Google Play Store. Well, quite some Android users have been reporting that they are facing many different kinds of issues or errors while installing apps from Google Play Store. The errors may occur due to any of the multiple reasons. To ease off the hassle Google has codes for every error, so that these errors are easily addressed & solved somewhat immediately. To help you out with the errors we’ve listed a few errors that most users are facing with the Google Play Store & also the possible solutions to them. The solutions will work on any Android device. So, without wasting more of your time let’s jump into solving the Google Play Store errors on your Android device. The different kinds of Google Play Store errors can be conveniently identified by the unique error code or error message/query that is assigned to each particular error. Here, we have listed the error codes as well so that’s it becomes easy for you to get the solution to the error you are facing at the earliest. Check date and time settings of your device. Confirm that you have a good data connection established. Clear app cache and data of the Google Play Store. Uninstall Google play store updates. To do so, go to Settings > Apps > Disable. Then Re-Enable it & update to the latest version of Google Play services. Reset the Google account on your phone and set it up again. Check the disabled apps to find out if any of the system apps are disabled that might have been causing the trouble. Disable and enable the download manager. To initiate that, go to Settings > Apps. Delete the ‘hosts.txt’ file. This action will require root access. Go to the root/system directory using any root file manager, search for ‘hosts.txt’ & delete that file. Reboot the device. Note: If none of the above solutions seem to work, just go ahead & perform a factory data reset on your Android device. ‘Unfortunately, Google Play Store has stopped’ is the basic common error faced by Android users. This problem might be encountered due to various reasons, and there are some solutions to fix this error. Partly installed apps: Such a case comes up when something goes wrong during the installation of an app. When you install a whole lot of apps on your device, such that your memory becomes full which might become a reason for the Play Store app to work as normal or app downloads getting failed. To eliminate this probability try to remove some apps and data to free some space on your Android device. 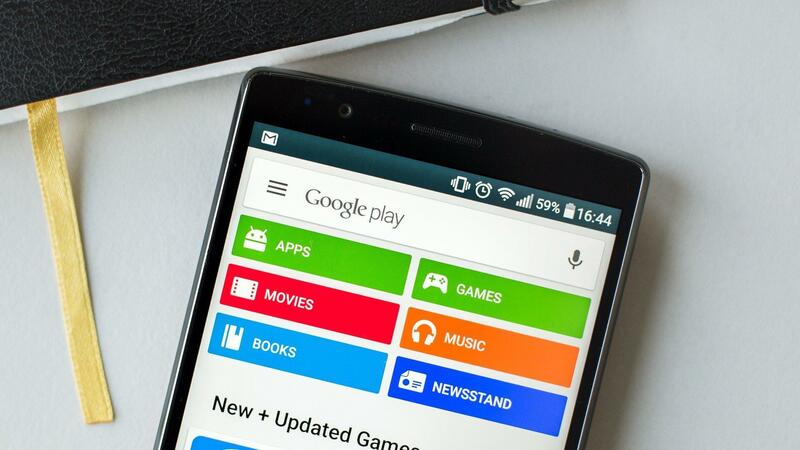 Here are some common solutions for solving ‘Unfortunately, Google Play Store has stopped’ error. Locate the Apps tab & tap on it. Select All Apps list to look at all apps on your device. Locate the Google Play Store app and tap on it. Go to the app info page & tap on storage and select clear cache option. Go back to the App page and Tab on Force stop, if you happen to see Uninstall updates option then uninstall the update. Restart your device, and the error should have vanished. Still facing the issue, don’t worry, Go to Settings > Apps > All > Google Play Store > Storage & select Clear Data option. Still stuck at ‘Unfortunately, Google Play Store has stopped’ error message? You can use this method to solve it. Open Settings > Accounts > Google. Select your Google account ID that is signed in on your device. Now, tap on Remove Account. Go back & launch the Google Play Store app. Sign In with your Google Account once the prompt appears on the screen & check. The ‘Unfortunately, Google Play Store has stopped’ error occurs when Google Play Service gets corrupted. To solve this issue, clear app data by heading over to the Settings > Apps > Google Play Services or reinstalling the app altogether. If you come across the ‘Unfortunately, Google Play Store has stopped’ & you are using a custom ROM like CM, AOSP, AOKP, Omni, Slim or so on, then you should find & flash the latest Gapps (Google apps) flashable zip file supported for your Android version of the ROM. This error code indicates that the apps from Play Store fail to install on your device. The error message reads as ‘Unknown error code during application install: ‘505’’. Go to Settings > Tap on Apps > Locate the Apps tab & tap on it. Possible Fix 3: Data factory reset your Android smartphone as a final resort. This error denotes the message as ‘The download is impossible, and the request is forbidden.’ This might occur due to multiple problems. Check for the fix below. If you are using two Google accounts simultaneously on the same device, then remove one of the Google accounts and clear the search history of Google Play Store. Now, try to download again and check if it is working correctly. You can also try with an alternate Google account to download the apps, and if it works, you can go with the previous account again and Restart your Android smartphone. This error can also occur due to bad proxy settings, so, clear the proxy and re-enter or reset the proxy of your mobile data connection from the settings. This error denotes the message as ‘Downloads and updates impossible.’ This error might occur due to Google Services app data being corrupted & some issues with your Google account. The possible fix is as below. Go to Settings > Apps > All > Google Services > Storage & select Clear Data option. The message to this error reads as ‘It’s impossible to install an application due to the Dalvik cache.’ It is a rare bug, and the possible fix is below. Go to Settings > Apps > All > Google Play Store > Storage > select Clear Data option. Force stop Google Play Store app. Also, delete the ‘Google Services Framework’ data. If the error persists, you can flash any custom recovery or a particular app that can clean the Dalvik cache of the device. Wiping Dalvik cache won’t delete your data or app data whatsoever rendering it is safe to wipe. This issue can be fixed by deleting the Google Play Store and Google Services Framework data. Who initiated just head on to the Settings > Navigate to Apps > All > Google Play Store > Clear data. Also clear data from Google services framework. A new Google ID will be assigned to your device which will make apps on your device go haywire for a temporary period. After clearing the data, you have to delete your Google account on your Android device & reboot. Now, re-link your Google account on your phone. Go to Settings > Accounts > Add Account > Google Account. The error should be gone & the apps should be downloaded without any problem. The Cache partition of your Android device being full is the root cause of this error. This issue occurs with the message ‘Interruption of downloads from Google Play Store.’ The Fix to it is. Uninstall unused apps that occupy unnecessary space on your device. It can be simply done by any memory cleaning app which doesn’t even take more than a minute. There is another way round to do this, You can clean the entire cache partition, and for that, you just have to Reboot your phone into recovery mode & format the cache partition. Doing this won’t delete your app data or personal files. Go to the App info page & tap on storage and select clear data. Clear data for Download Manager as well in a similar fashion. Now, continue with updating the apps and issue should be solved. This error code directs to the message ‘App could not be downloaded due to an error‘. This is a frequent issue faced by many Android users. It has a simple fix. Also, clear the data from Google Services Framework. Now the apps should be downloaded seamlessly. Clear the cache of the Google Play Store app from the Settings and try to download the same application you were facing the problem with, from the Play Store. If the first step fails, you can clear the app data of the Google Play Store but do note that it will delete all the settings you have made. Third, resent would be to remove your Google account and restart your device. Add the account again it should be up and running. Error retrieving information from server [RPC:S-7: AEC-0]. This error occurs Due to the core Google Play Store app or Google Services app updating in the background on your Android smartphone which will stop the app downloads or updating of the apps temporarily. Which suggest you wait for a few minutes till the apps get updated or try to Force stop the Google Play Store and Google Play Services app. Possible Fix 1: Update the date and time of your Android device. Check you have a secure data connection established. Now, manually set the wrong time and date (it is a trick). Open Date and time settings again. Manually set the correct ‘Date and time’ this time around. Recheck ‘Automatic date and time’ and ‘Automatic time zone‘. Restart your device and you are done. Go to the app info page & tap on storage and select Clear Data option. Revert to Apps > Download Manager > Clear data. Restart your phone & you are done. Now, click on Uninstall updates and then press OK.
Go back to Apps > Download manager > Disable it and then Enable again. Many Android users come across this issue due to Limited storage space in their smartphone. Also, this may occur if your device is full of apps which consume entire storage of your device. The solution is pretty simple, to just uninstall the apps that you don’t use and just keep hogging your storage. If the error is recurring, Download an app called App2SD to move the movable apps to your external storage. Also, try clearing unnecessary app data for the apps you rarely use as they keep accumulating cache data. Doing so makes a huge impact on clearing some space on your device. So, we have tried to give you a proper guide to fix the frequently occurring bugs or error codes while using the Google Play Store app; it will certainly help you to solve the issues. Until next time, Adios! Hi there! I am Pranav. As an I.T. engineer, I am always curious about the arrival of new technology & trends. So here I am to share my curiosity. When I am not working, I am a cricket buff or researching about random stuff right from a Pin to Astrophysics.